Couples who are having a difficult time conceiving may go through several different emotions. It can be a very difficult and trying time in a couple’s life. At the Centre for Reproductive Medicine in Lubbock, Dr. Janelle Dorsett knows that this can be an extremely sensitive time and she offers the utmost care and compassion to her patients. Dr. Dorsett offers her patients in Lubbock infertility treatment options that best suit their situation and goals. One thing it is important for patients to realize is that you are not alone. For women in Lubbock, and across the world, female infertility is a problem with several common causes. Pregnancy is a complicated process. For conception to be successful, both ovulation and fertilization need to be in sync. Couples facing problems conceiving may be having difficulty due to male infertility problems, female infertility problems, or problems with both partners. A doctor can help you determine which partner is experiencing infertility. For females, there are actually several common causes of infertility. Ovulation disorders: Ovulation disorders prevent the ovaries from producing eggs. This can be a result of tumors, injury, excessive exercise, improper diet, or some medications. Fallopian tube damage or blockage: The fallopian tube can become swollen. 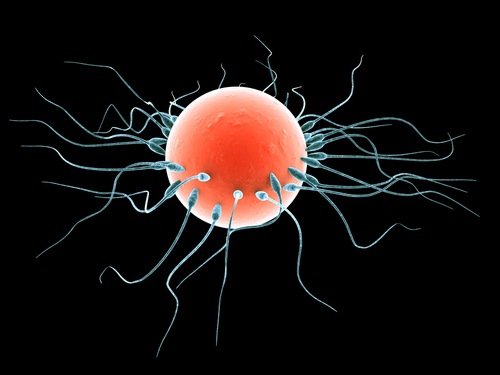 The most common cause is the sexually transmitted infection Chlamydia. Endometriosis: Endometriosis occurs when the uterine tissue grows outside of the uterus. This can affect the function of the fallopian tubes, ovaries, and uterus. Polycystic ovary syndrome: Polycystic ovary syndrome, or PCOS, occurs when the body produces too much of the hormone androgen. PCOS is commonly associated with women with diabetes or obesity. Uterine fibroids: Uterine fibroids are common in women in their 30s and 40s. These benign tumors can interfere with proper implantation of a fertilized egg. Early menopause: For reasons that are usually unknown, some women stop experiencing their menstrual cycle before the age of 40. Thyroid Problems: The production of too much or too little thyroid hormone may interrupt a woman’s menstrual cycle and cause infertility. Cancer and its treatment: While all cancers may affect a woman’s fertility, this is especially likely in women who have had female reproductive cancers. Both radiation and chemotherapy treatment can also impair a woman’s fertility. If you are 35 or older and have been unable to conceive for six months or more, you should see a healthcare provider to see if any of these causes may be affecting your ability to reproduce. Thanks to medical advances, there is hope for couples that are having difficulty conceiving. There are several infertility treatments available. Depending on a client’s unique need, Dr. Dorsett may offer her patients in Lubbock IVF (in vitro fertilization), ovulation induction, or reproductive surgery. All of these treatments have been successful in allowing couples to conceive their own child. If you are experiencing infertility, Dr. Dorsett may be able to offer treatment that will allow you to conceive a child of your own. Schedule a consultation today. We are ready to listen to your needs and goals and offer personalized treatment for your family. We want to make your dreams come true!